The publisher sent me a review copy of this book and I thoroughly enjoyed it! 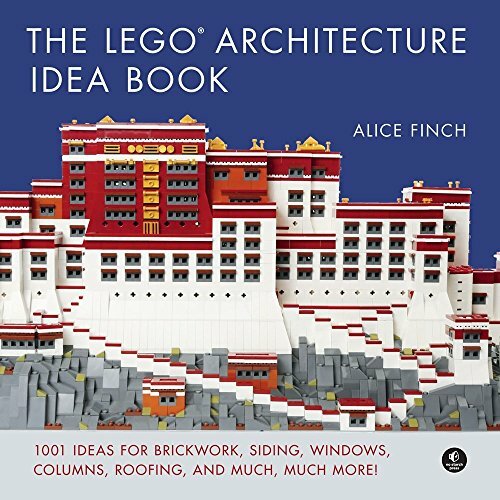 I was excited to see that the author is Alice Finch because I have been in awe of her large-scale Hogwarts build and I am always happy to see another adult woman who loves LEGO. I have a large collection of LEGO-themed books and this one is a new favorite because of the many details included. I never realized how much I love architectural details until I got into the LEGO modular builds. The ideas in this book are inspiring and doable. I especially love the emphasis on roofs and windows. Great book! This would be a nice gift for anyone who loves LEGO.